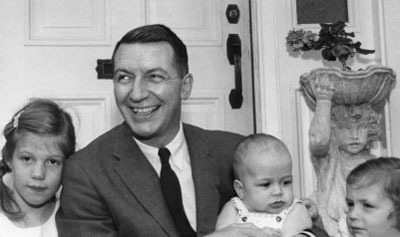 Former Bank of Canada Governor James E. Coyne, on front steps of his Rockliffe Park home in Ottawa, July 17, 1961, with three of his five children, (L to R) Nancy Riley, Andrew, and Susan. (CP PHOTO). GANATSEKWYAGON, ON. THURSDAY, MAY 8, 2014. 2:00 AM ET. As elsewhere in the global village (the ongoing vast democratic election in India, eg), there are some interesting things going on in what the late great George Grant used to call “the Great Lakes region of North America” these days — and especially (maybe?) in the region’s far northern or Canadian zone. 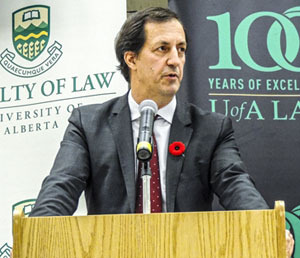 Andrew Coyne, columnist with Postmedia News, visited the University of Alberta Faculty of Law on Monday, November 4, 2013, to participate in the 2013/14 Merv Leitch QC Memorial Lecture. Very briefly, Andrew Coyne thinks Prime Minister Stephen Harper has probably done something utterly beyond the pale, by criticizing Canada’s Chief Justice of the Supreme Court, Beverley McLachlin, for apparently trying to get in touch with the august prime ministerial presence, regarding the appointment of Marc Nadon to the Court, etc, etc, etc. (blah, blah, blah). 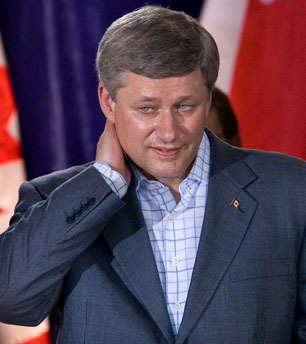 I am not sure that I entirely share Andrew Coyne’s displeasure with Stephen Harper here. They are two men from different Canadian worlds, but almost the same age. (Harper is not quite a year and three-quarters older!) At least some part of what is going on, I’d guess myself, has something to do with old but continuing antagonisms between Western Canada (PM Harper) and the old Upper Canada. (Of which Mr. Coyne can almost certainly be regarded as at least a somewhat flawed but still distinguished present-day representative — he did waste some time at the University of Manitoba, but then redeemed himself with a BA from Trinity College at the University of Toronto, and an MSc[Econ] from the London School of Economics!). 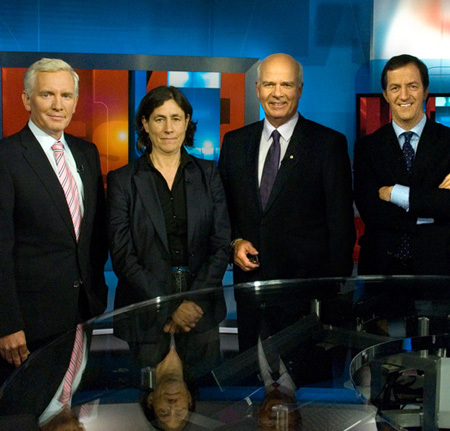 Andrew Coyne (r) and colleagues on CBC TV. At the very end, however, I can perhaps only acknowledge that I too have degrees from the University of Toronto — though I was at University College with its alleged Jewish Common Room, rather than the resolutely Anglican Trinity College. I disagree utterly with Andrew Coyne as well about the future of the British monarchy in Canada (an issue on which he does again reveal his spiritual empathy with the old Family Compact in Upper Canada). 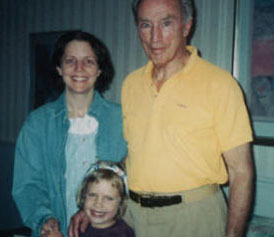 Andrew Coyne’s cousin, Deborah Coyne, with Pierre Trudeau and his and her daughter, Sarah, many years ago now. But I suppose I finally have a certain respect for Mr. Coyne, and what he represents in our current Canadian democratic political culture. I suppose I ultimately feel that, living in both Southern Ontario and Toronto as I have done, I have had to put up with and adjust to all too many Andrew Coynish lectures on political etiquette, etc, still embedded in the modern political culture of Ontario or Central Canada. (Which actually does have at least half-rebellious analogues in Vancouver and Victoria, and other such places, and possibly even Halifax too, tho no one will admit any of this, of course ????) 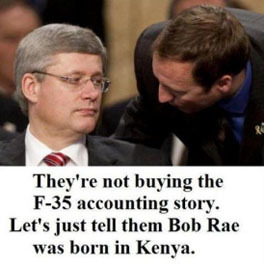 So Stephen Harper should have to do the same. Why not?